Douglas submitted a bid for the USAF jet tanker project but this was won in 1954 by the Boeing 707 (KC-135). 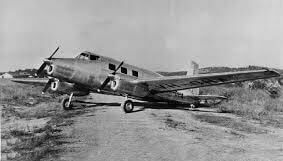 From that point, Douglas was always playing catch-up. The DC-8 was officially launched in 1955 and first flew in 1959 but never achieved the sales success of its rival. 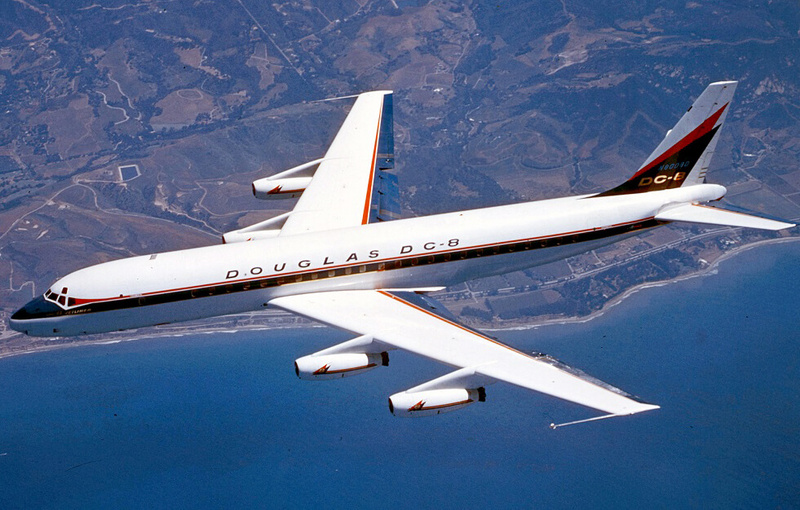 Two fuselage lengths were eventually produced, the standard length and the “Super DC-8’s” introduced in 1965. The DC-8 was able to be stretched further than the 707 due to its lesser wing sweep and the longest DC-8 seated 262 passengers, the greatest capacity of any airliner until the introduction of the 747. 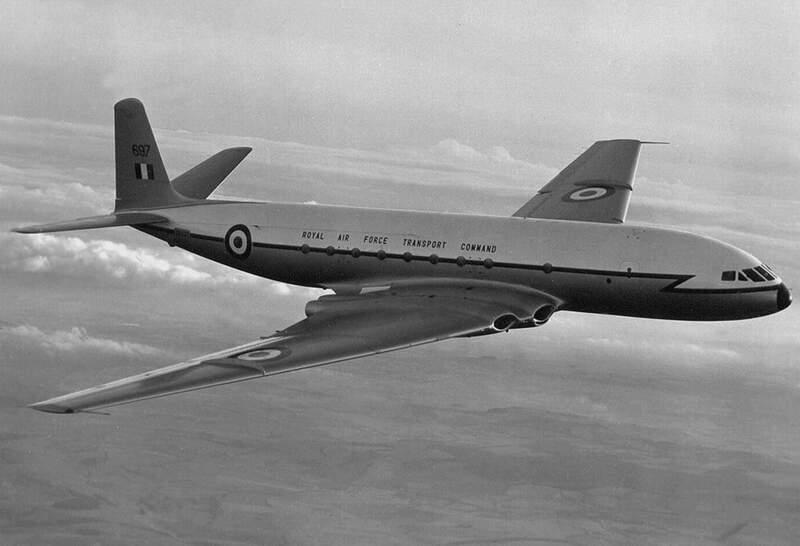 556 examples were built, about half the number of the rival 707, but they had a greater service retention rate, largely due to their success in the converted freighter market. This title contains two flight manuals for the Douglas DC-8. The files have been scanned from the original flight manuals and retain any colour pages. 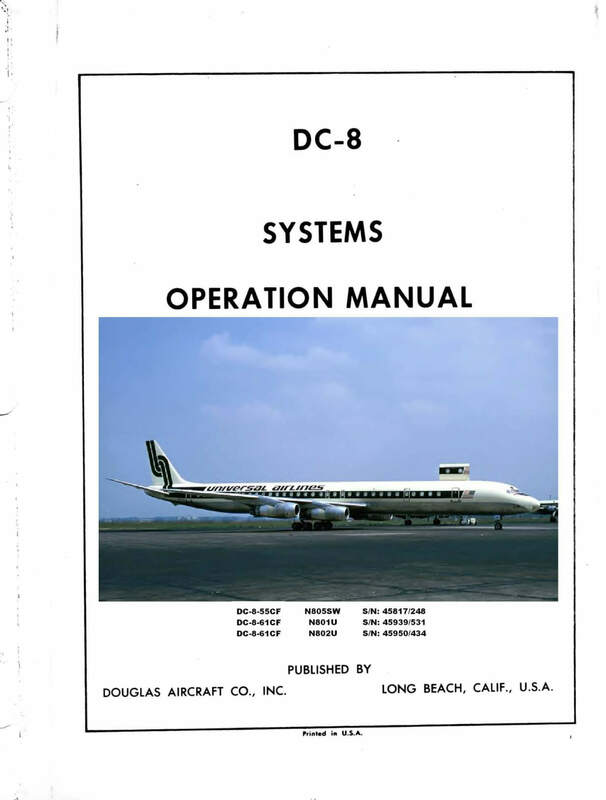 Manufacturer’s Systems Operation Manual for the Douglas DC-8 revised to Feb 69, with over 1500 pages. This manual is customised for three specific aircraft operated by Universal Airlines, being two short-fuselage DC-8-55CF aircraft and one long-fuselage DC-8-61CF aircraft. 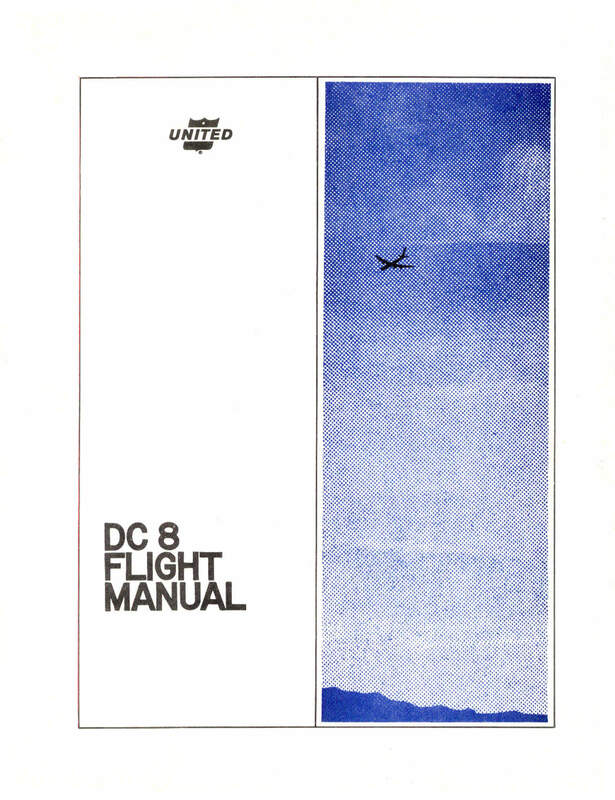 United Airlines Flight Manual for the DC-8, revised to 21-8-68 with 642 pages. 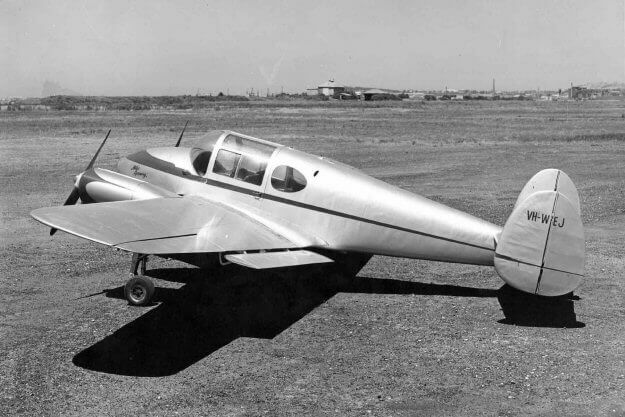 This manual covers both the short-fuselage and the long-fuselage -61 series aircraft.